The 1920 x 1200 resolution boasts impressive color and clarity. Energy-efficient LED backlight. 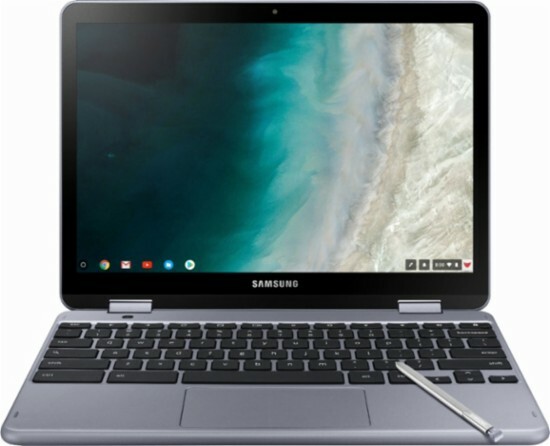 Click the button below to add the Samsung - Plus 2-in-1 12.2" Touch-Screen Chromebook - Intel Celeron - 4GB Memory - 32GB eMMC Flash Memory - Stealth Silver to your wish list.